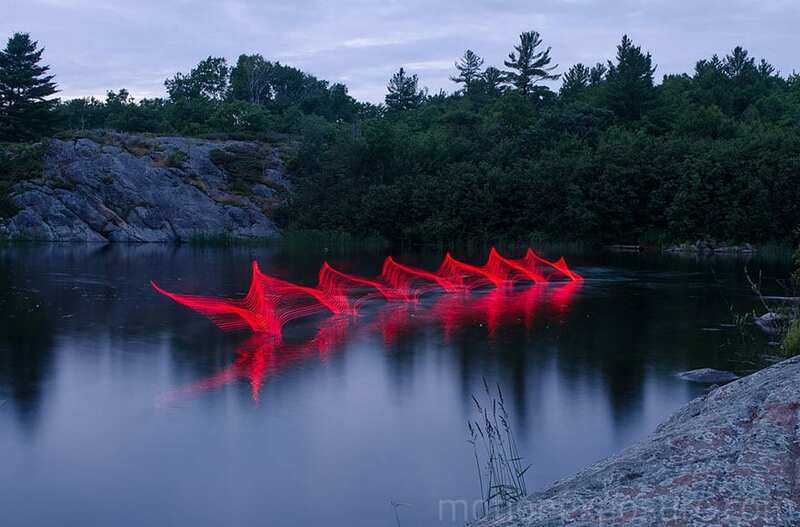 Photography is a brilliant way to be expressive. 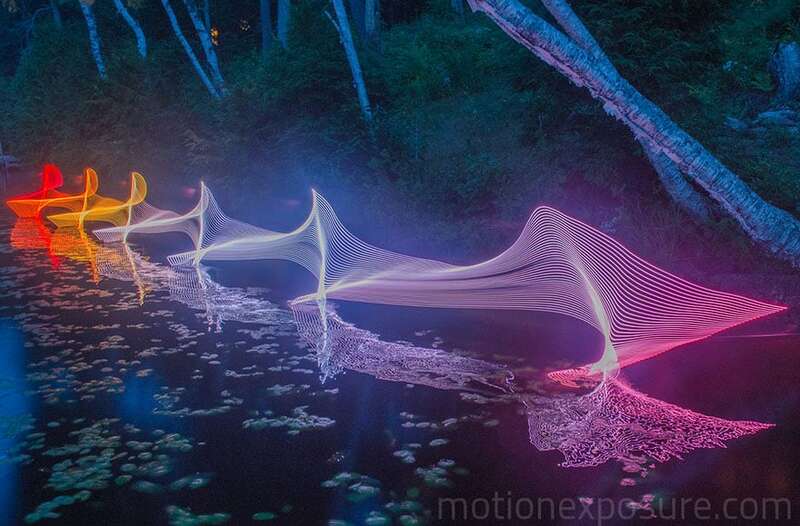 With cameras now becoming cheaper, more and more people are seeing it as a creative outlet and for good reason too. 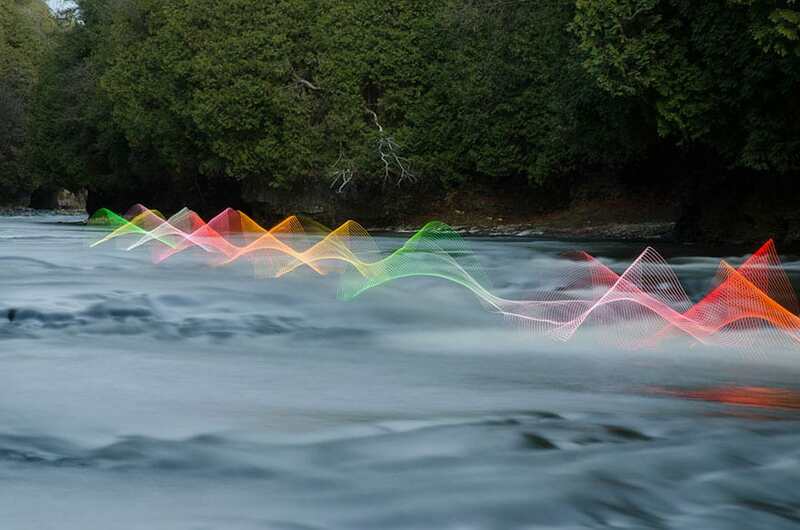 Here we present twelve beautiful images by photographer Stephen Orlando which capture canoers and kayakers in motion. 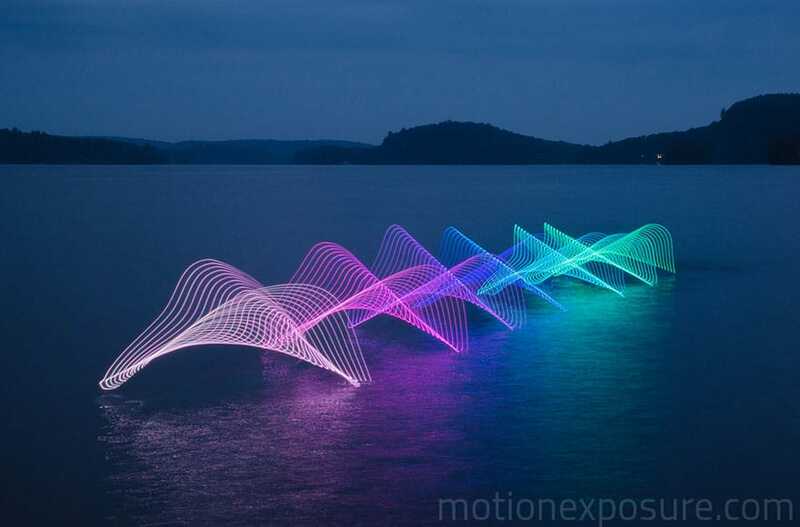 The images were made by a programmable LED that blink and changes color over time, which were attached to the ends of the oars. 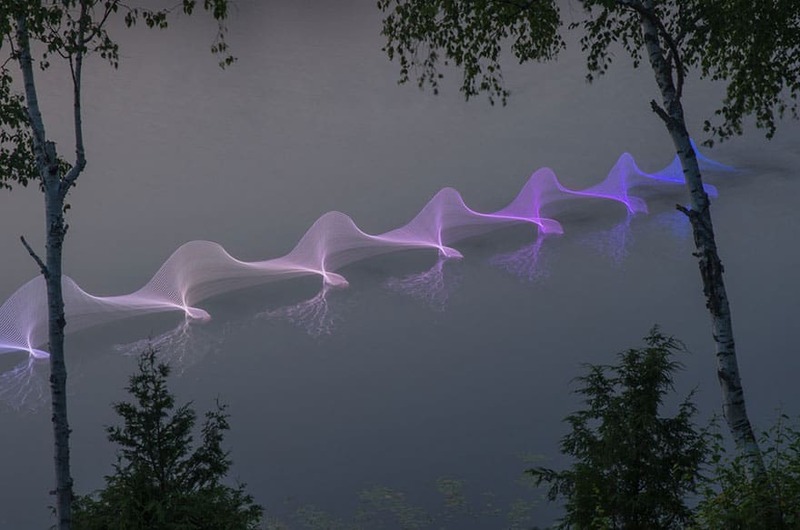 With a long exposure from the camera (in this case, around 20-30 seconds between each take), the canoes become invisible in the photo, but the paddle movements show what can only be described as a beautiful light show in motion. 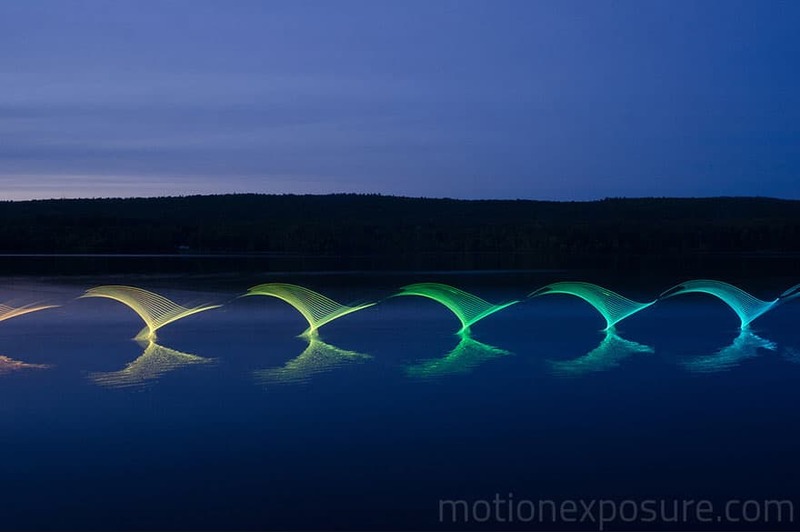 Have a look below and be amazed. 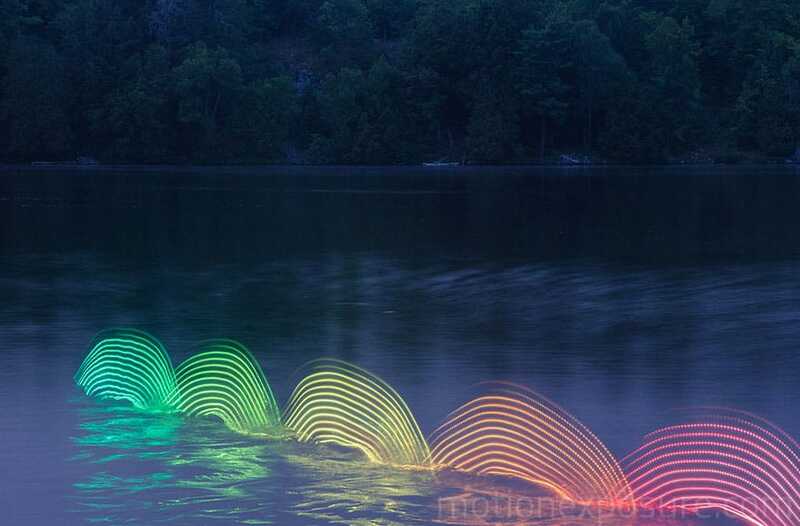 With such brilliant displays of color, some of these images of canoeing look almost like beautiful stones that have been skimmed across the water. 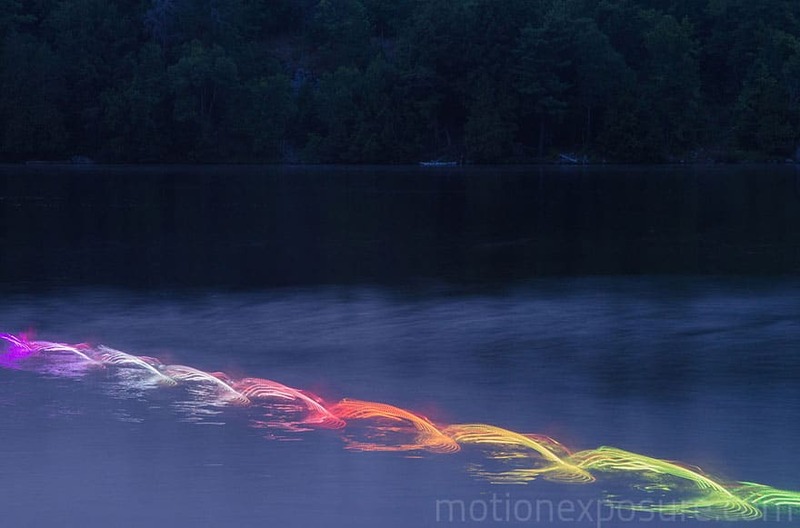 Just look at the display of colors in the above photos. 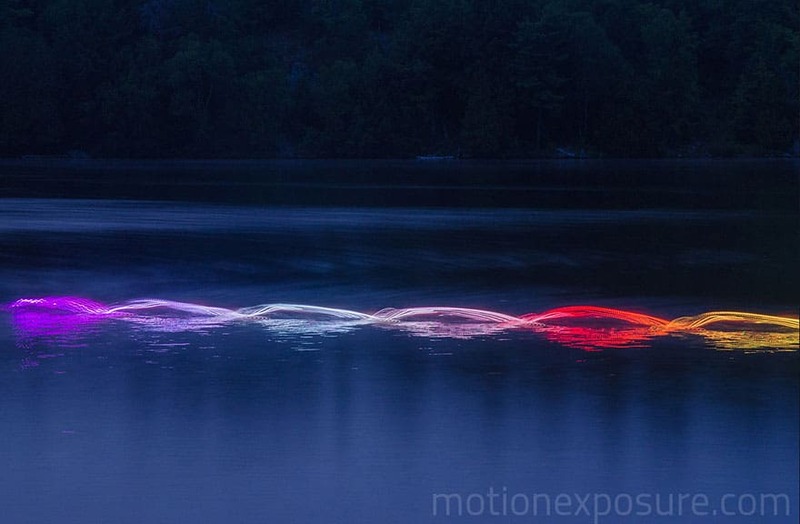 It’s almost like a ballet of lights, despite the fact it’s just the movements of the kayaker’s oars captured over time. Simply beautiful. 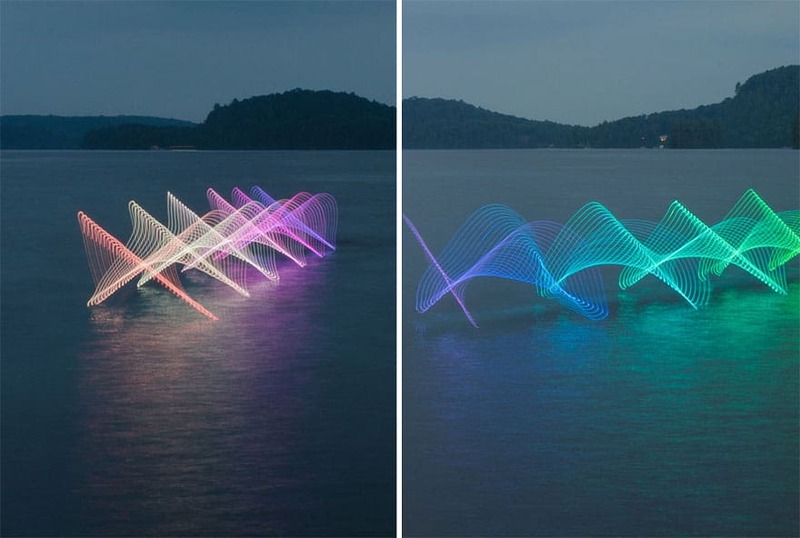 These photographs go to show that the same effect can be done without the use of oars. 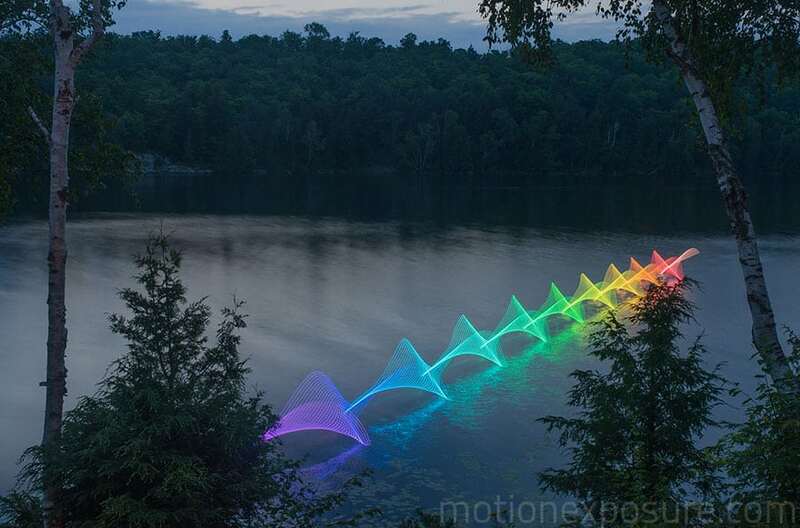 This swimmer can be seen making colorful rainbows as they cross the river.